UPS management, safe system shutdown, and energy management software for up to 25 servers and workstations using dedicated serial or USB connections. 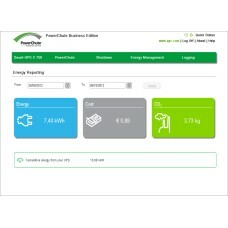 PowerChute Business Edition software provides UPS management, safe system shutdown and innovative energy management capabilities. In the event of an extended power outage, graceful unattended shutdown ensures no information is lost and time to recovery is minimized. Energy cost and CO2 reporting provides greater understanding of the energy consumed by IT equipment enabling improved energy efficiency. Highly valued risk assessment reports detect potential threats to availability while advanced analysis features help to identify the causes of potential UPS and power related problems before they occur, ensuring the health of your system. 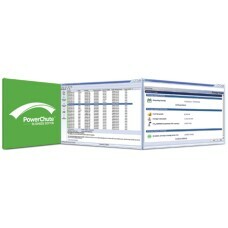 PowerChute Business Edition Features & BenefitsCompatibilityCommunication Computer Interface Cab..